This is more of a blog post than an advertisement, but you can scroll to the end for scheduling and pricing information! I have been passionate about travel since I was 16 years old and my grandfather took me on my first trip out of North America (to Sweden!) And I have created opportunities to visit some pretty amazing places and do some amazing things... so planning something out of my comfort zone for my 50th birthday was a bit of a challenge. But I have always loved mountains, so I decided to head to the Himalayas and have a "wee walk". Kathmandu was chaotic: narrow streets filled with motorbikes, cars, bicycles, walkers, stray dogs, and the occasional cow, with nary a stop light in sight! 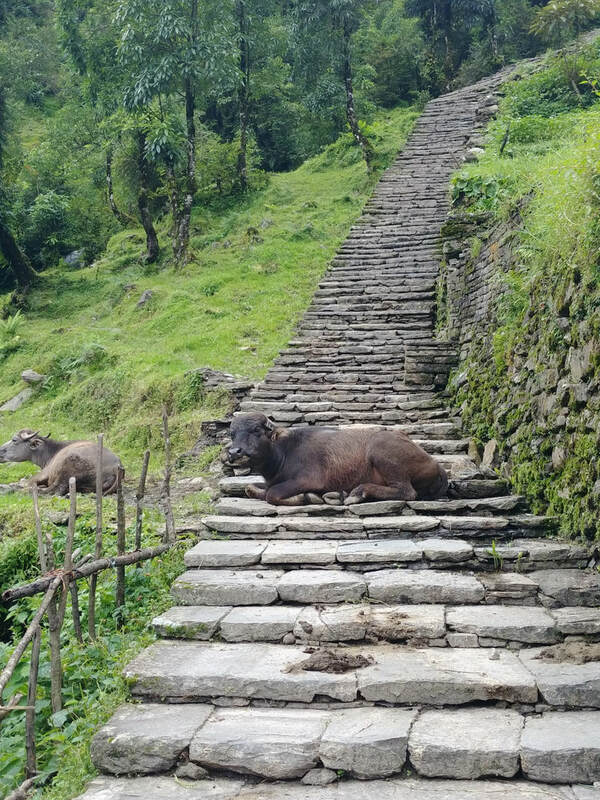 But the Nepalese are kind, funny, and easy-going, so I just relaxed into the adventure and engaged in my favorite pass-time: people-watching. We visited several temples, both Buddhist and Hindu, and spent some time observing traditional cremation ceremonies at the river. Watching the troupes of monkeys at the "monkey temple" was a lot of fun. If you are not familiar with the concept of trekking in Nepal, it is not luxurious, but it is also not camping. Each night was spent in a small lodge, maybe 6-15 rooms with a shared bathroom, similar to a youth hostel. Several times I had a bathroom attached to my room, it just depended on what was available in which village. And almost every place had WiFi! There was hot food for breakfast and dinner, and again at lunch along the way; rice, noodles and pizza were the main offerings, quite tasty, and perfect energy for long walking each day. Krishna made all of the arrangements as we went, and with over 20 years in the business, he has connections to many of the providers along the trail. The scenery was spectacular: huge rhododendron trees, waterfalls, villages, monkeys, flowers, bamboo, rivers and bridges. And the mountains! 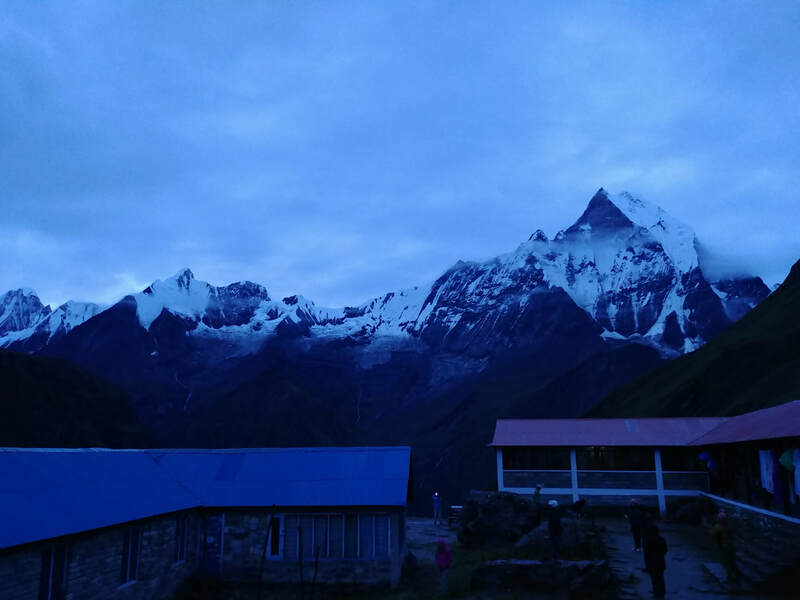 Always we were praying for the clouds to clear to get a glimpse of those astounding peaks. I went in August, the end of monsoon season, and heard many comments from the locals about how it was usually much more clear in late August than it was this year. 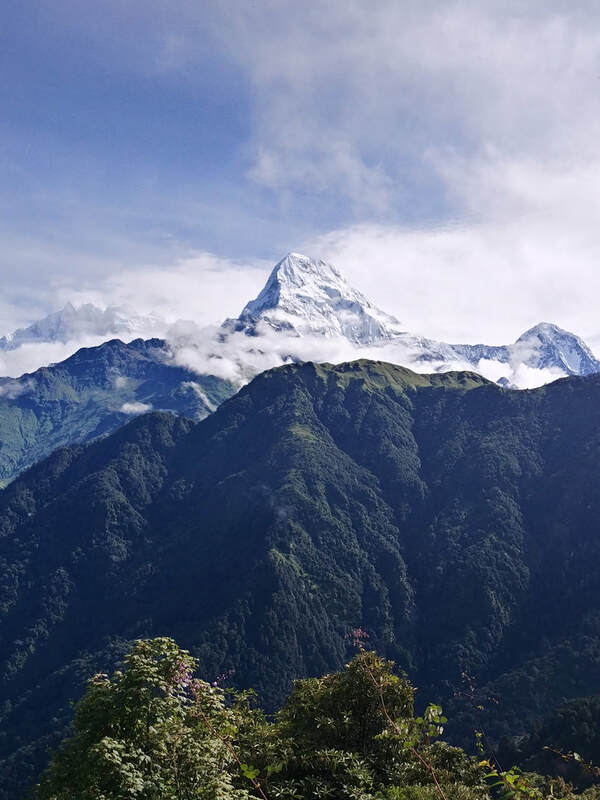 But we were indeed rewarded with some stunning vistas, mainly of Annapurna South (top and middle photo) and Machhupichhre (below). If I were to go back, I would target late March or early April, when the rhododendrons are in bloom and the hillsides are covered in pink and red. 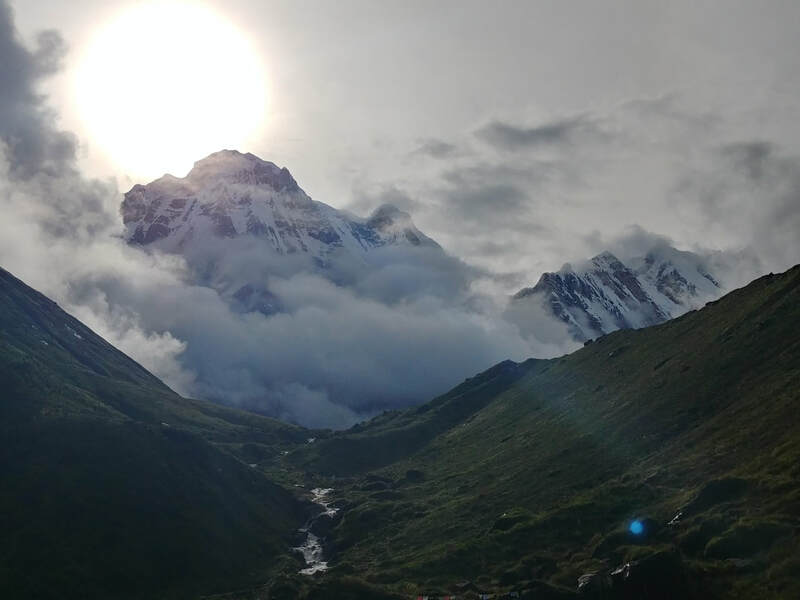 The high season for trekking is September thru November, but March thru May are also popular. June and July are the monsoon season, and of course December and January are quite cold, but many folks do still trek in those months! After the trek, I enjoyed a couple of days of relaxation in Pokhara, a charming lakeside resort town. And then it was back to Kathmandu and the energy and chaos of that vibrant city! 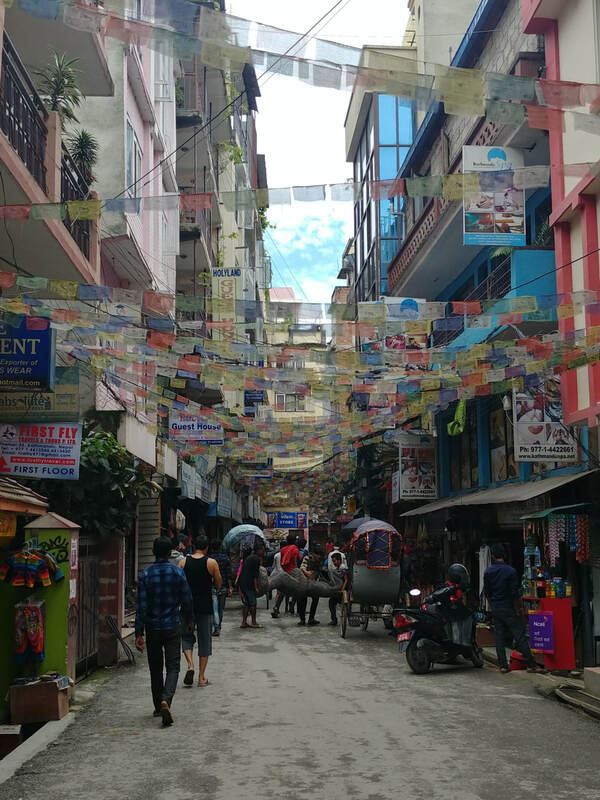 I downloaded an offline map for my phone and ventured out into the streets of Thamel, the bustling ex-pat neighborhood, and picked up souvenirs for my family (and myself!) and absorbed some of the local cafe culture. My last three days where spent in Bhutan, a small, reclusive kingdom of roughly 800,000 people. Always geographically remote, the country has also been notoriously reclusive and difficult to visit. It only opened for tourism in 1974, and only allowed the internet in 1999! That being said, my guide and my driver, courtesy of We Cool Bhutan Tours and Treks, were friendly and knowledgeable, and made my short visit fun, educational, and very memorable. Treks Himalaya make all of my arrangements for me thru them, including my visa and my flights, all I need to do was enjoy myself. 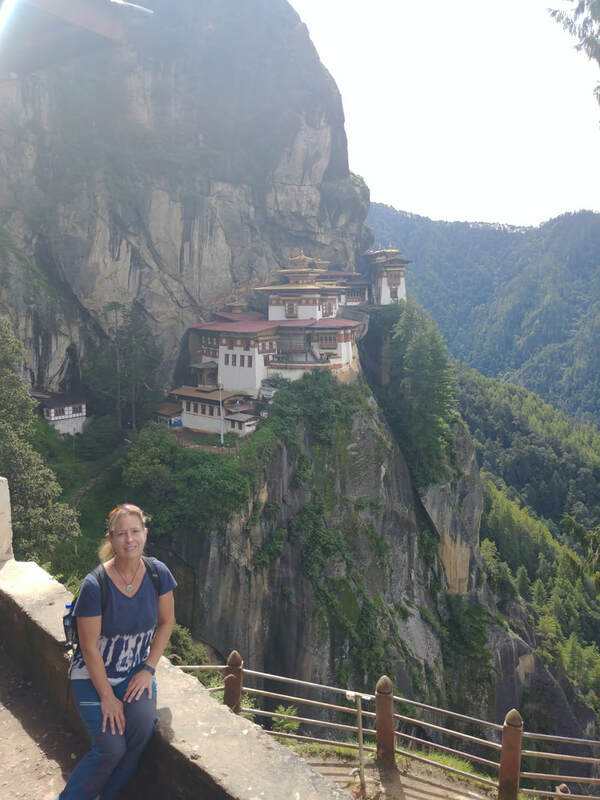 My Bhutan visit culminated in a hike to the famous Tiger Temple (at left), actually a series of temples anchored to the hillside at 10,200ft altitude, and over 1000ft up from the valley floor! The stunning natural beauty, amazing architecture, and deep sense of history and reverence, combined to make this a memorable finale for my adventure. This was my specific 21-night package, which assumes a single supplement as I was traveling solo. There are multiple itinerary options to work from, and we can craft one specifically to your time constraints, interests, the size of your party, and hiking ability! Not included: Travel insurance (required). Tea, coffee and other beverages. Any meals not specified above. Nepalese visa. Gratuities. 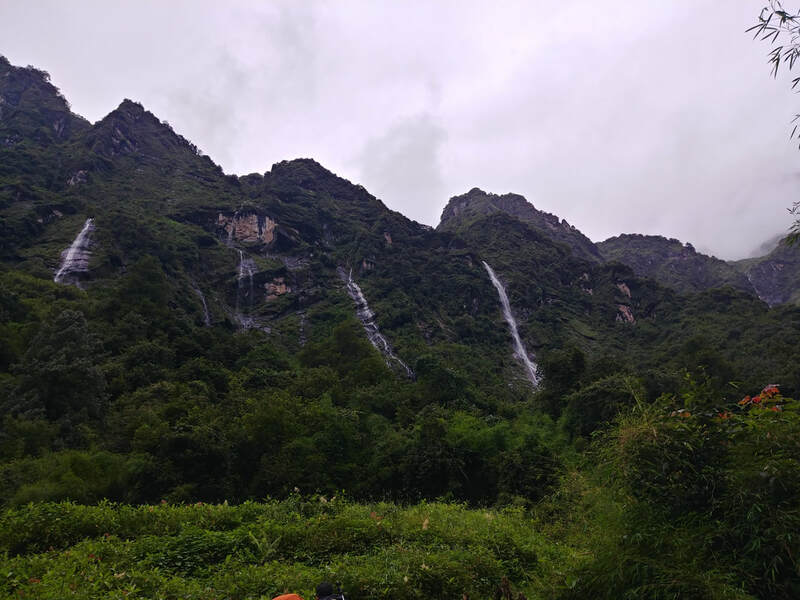 At the more remote elevations, there are charges for WiFi, device charging, and hot showers IF they are available; trekkers are responsible for these costs, but they are normally only $1-2 each.